Amritsar is the Golden city in the northwestern state of Punjab. The city was established in 1574 by Guru Ram Das. The city is located 217 km in the northwest of Chandigarh. There are many temples, gurudwaras, museums in Amritsar and it is the best place to experience Indian culture and heritage. 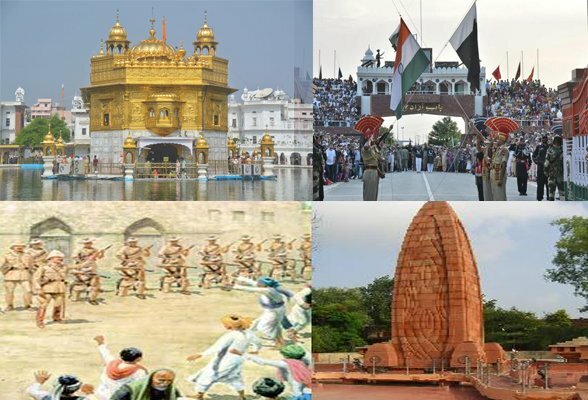 Some of the most popular place to visit in Amritsar are Golden Temple, Jallianwala Bagh, and Wagah Border. Golden Temple also called as Harmandir sahib is the very famous spiritual and cultural centre for the Sikh Region. It is one of the most popular tourist destination in India. The place serving as a symbol of brotherhood and equality. The place can’t be explained , it can only be experienced. Guru Ram Das was the 4th Sikh Guru and he digged out a tank and turned it into the lake of holy water also called asAmrit. Golden temple is a build on Hindu and Islamic architectural style. Jallianwala Bagh is the place that holds the great historic importance. The place is the symbol of struggle of Independance of Indians. Jallianwala Bagh is spreaded over the land of 6.5 acres and thousand of innocent people were killed at this place. Wagah Border is the only road border between India and Pakistan. Wagah border is located at a distance of 28 km from Amritsar. It is a very famous tourist destinations. The flag ceremony happens everyday before sunset by the Indian Border security Force and Pakistan Rangers. Thousands of people visit to see the ceremony.